A small kirana shop owner in New Delhi has been sentenced to 3 months imprisonment under Prevention of Food Adulteration Act, 1954 by a Supreme Court bench comprising of Justice A.K. Sikri and Justice B.S. Chauhan. The accused was running a small kirana shop in Delhi. Officials from the Food Adulteration Department, in 1993, detected salt as an adulterant in 450 gram of red chilli powder sample taken from his shop. A second test by the Central Forensic Science Laboratory also showed ash content and pointed towards adulteration. By a 2002 order, he was sentenced with rigorous imprisonment for one year, with a fine of Rs 3000. His appeals before the Additional Sessions Judge as well the High Court were both dismissed. However, Delhi High Court reduced the period of imprisonment to three years. With the regard to the defense that he was a small kirana owner, that the paucity of space in his shop might’ve led to the detection of salt in the sample and such addition won’t be injurious to health, the Court asserted that the even if addition of salt won’t render the red chilli powder injurious to health, nevertheless, the quality/purity of the article would fall below the prescribed standards/its constituents as prescribed in A.05.05.01 limit…It is clear that an article of food may be adulterated once it does not meet the specifications and exceed the limit prescribed under the PFA Act. Dismissing the appeal, the Court said, "Though an attempt has been made to argue that the sample was not adulterated, it is difficult to accept the said submission. The presence of salt, that is sodium chloride, by 2.5% weight as well as presence of total ash exceeding the prescribed limit is sufficient to hold that the sample drawn was adulterated, even if one was to proceed on the basis that mere addition of common salt to the chilli powder did not render it injurious to health." As for the reduction of sentence, the bench observed that the High Court has taken due regard of the fact that the petitioner herein was a petty shop keeper. Also that the matter relates to the year 1993; petitioner has suffered incarceration of about 12 days out of the period of sentence of one year which had been awarded to him. The High Court had in fact observed that speedy trial which is the essence of justice has been lost in the case at hand. Considering all mitigating factors, it had already awarded him the minimum period of imprisonment. Displaying a strict approach to food adulteration, the Bench was of the view that no further benevolence can be shown to the appellant, more so, when it is a case of food adulteration. There is no special circumstances which may warrant reducing the sentence below the minimum. 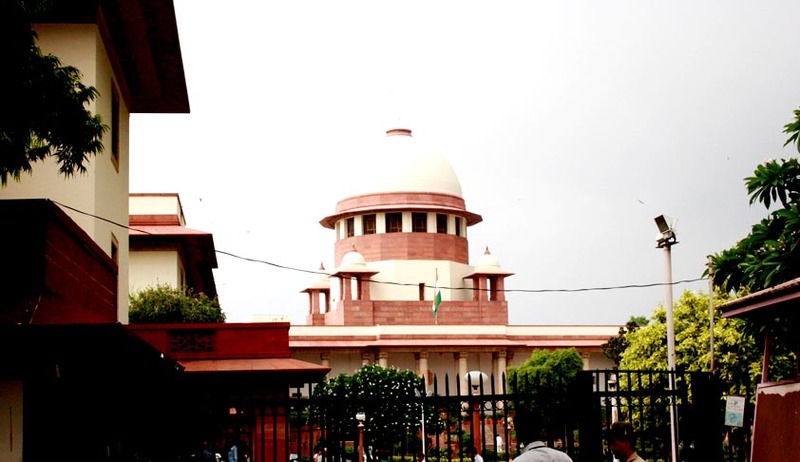 Legal News India, Supreme Court News, Supreme Court Judgments.